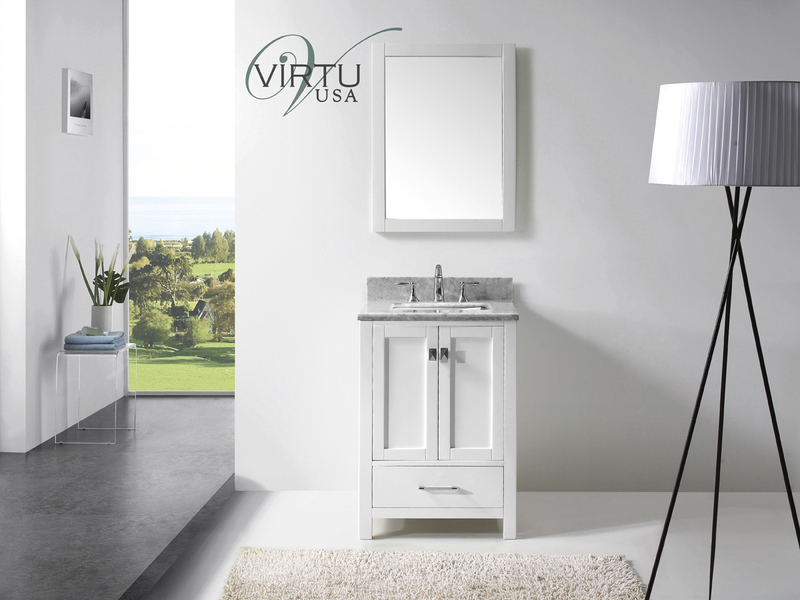 Petite in size, yet grandeur in style, the 25" Caroline Avenue Single Vanity is designed to create a classy appeal to any bathroom with its simple, yet elegant charm. 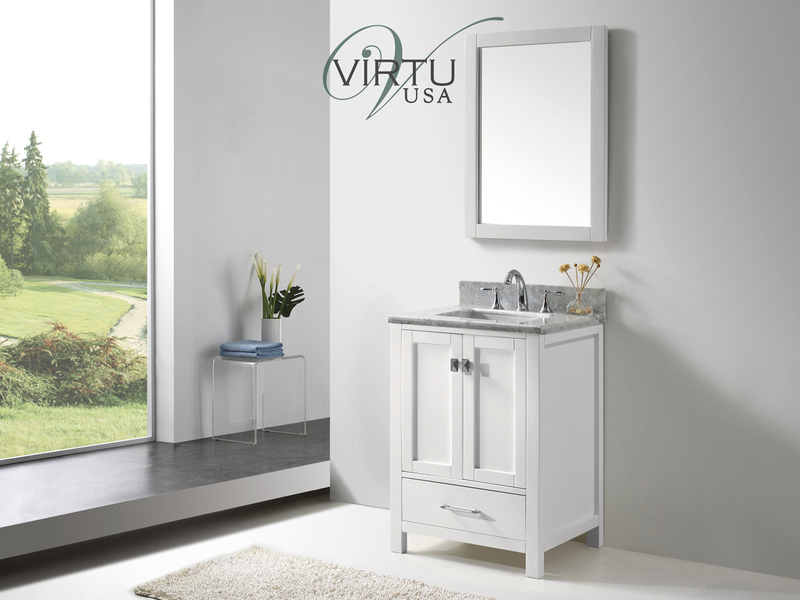 Featuring a cabinet made from solid oak, it is finished with a bright White finish to give your vanity an air of freshness and light. The Italian Carrera White Marble top creates a look that borders between traditional and modern. 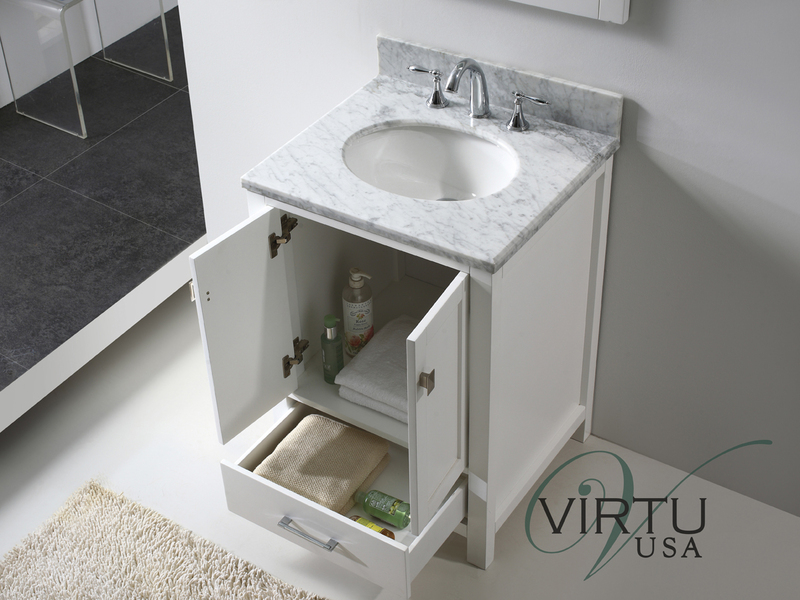 Its double-door cabinet opens up to reveal plenty of storage space and is decked with two square brushed nickel door knobs, while the bottom soft-closing drawer offers additional storage space with a single brushed nickel handle bar. 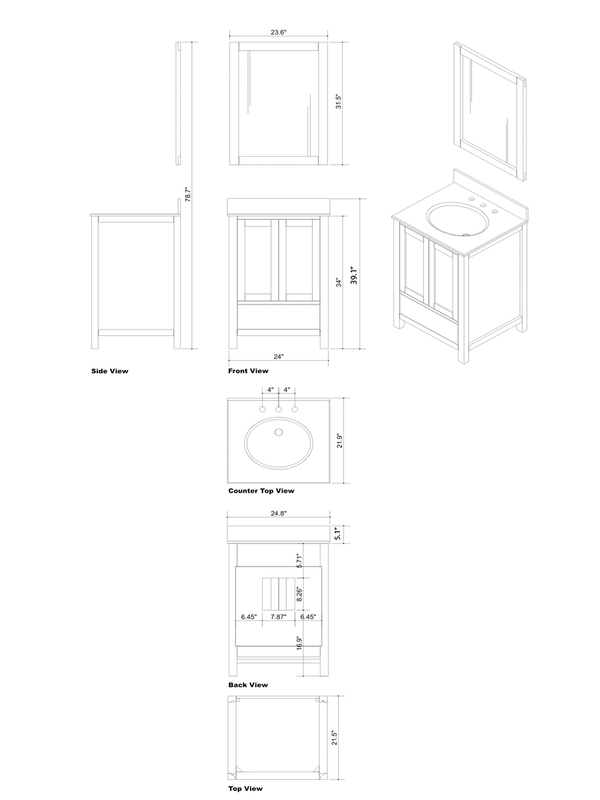 You'll love its matching mirror, which comes included with the Caroline Avenue. 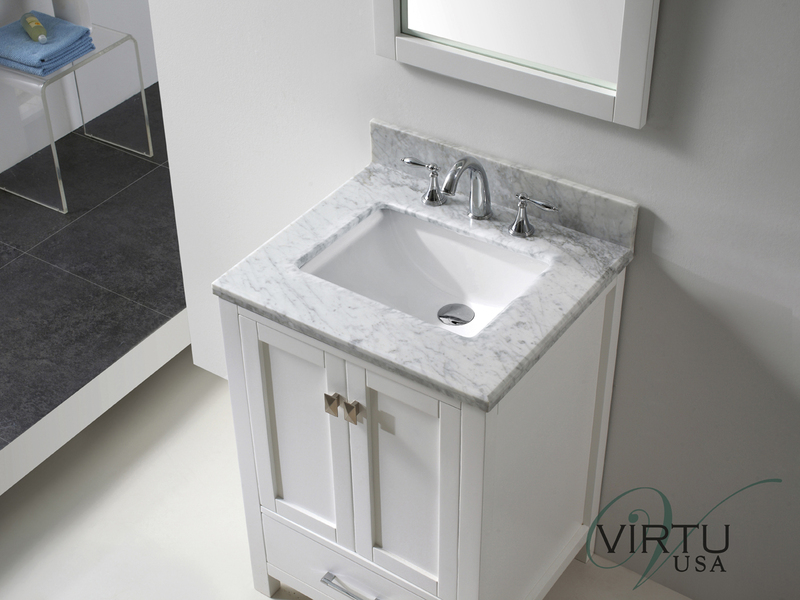 The included ceramic sink is undermount installed and the sink hole can be cut to be squared or round, depending on how you want your new Caroline Avenue Vanity to look!